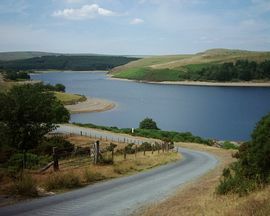 Nestled between the hills of Mid Wales near Lake Clywedog, Cwm Deildre is a lovely rural retreat, with direct access to footpaths and bridleways. 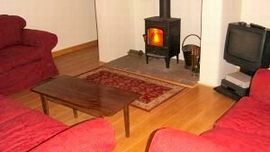 The cottage is a sun trap, except in the winter, bordered by a stream and with abundant wildlife. 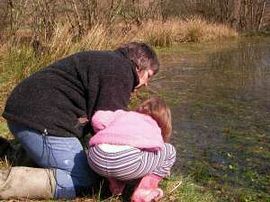 There are ponds in the 13 acre small holding and more streams, tame sheep and horses. 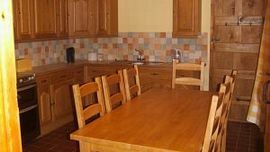 The cottage is well furnished and has a dishwasher, freezer, washing machine and wireless Internet access. It is ideal for getting away from it all but still keeping in touch. Direct access to the countryside. Well behaved pets welcome but not alowed upstairs or on the furniture. Visitors use the garden patio to smoke. 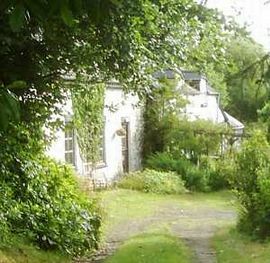 Garden and access to 13 acre smallholding with ponds and streams. Local Services: The market town of Llanidloes is 4 miles away. Please see details on the website. Printed details sent with bookings. Maximum: £500.00 Minimum: £350.00 inclusive of all heating costs. Friday changeovers. Weekends available October to March. From one of our customers: "What I could do with would be an advert from you that I could copy and put up on the noticeboard at work and various other places, so that other people can discover how wonderful Cwm Deildre is".